Thousands of people living with MS have lost millions in benefits since the introduction of Personal ­Independence Payments. Despite previously qualifying for the highest rates of Government support, many sufferers have been downgraded under the new system. Figures obtained through a freedom of information request by the MS Society show that at least £6million a year has been stripped from people with the condition since PIP started replacing Disability Living Allowance in 2013. The stats reveal that across the UK 2600 people – almost one in three – who received the highest rate mobility component of DLA had their payments downgraded or denied after being reassessed for PIP between October 2013 and October 2016. For those receiving the highest rate for the care part of DLA, nearly a quarter – 800 people – faced cuts under PIP’s ­equivalent “daily living” component. That equates to a loss of at least £4,867,200 a year from all those receiving the highest rate of the mobility ­component, and £1,141,920 a year from those on the highest rate of care. Genevieve Edwards of the MS Society said: “These staggering figures show how PIP is failing some of the most vulnerable people with MS who need the highest level of support. “It doesn’t make sense that people are losing money they once qualified for, when they are living with a progressive condition that will never improve. “People tell us they aren’t given the opportunity in their assessments to explain what it’s really like to live with MS.
“What’s more, assessors rarely have enough knowledge about the condition. This means significant numbers are getting the wrong ­decisions about what they’re entitled to, having a potentially drastic impact on their living situation. “Their only options are to face a lengthy and stressful appeal process, or attempt to get by with inadequate support. MS affects 11,000 people in Scotland. The neurological ­condition can cause ­problems with how people walk, move, see think and feel. PIP is designed to cover the extra cost of living with a disability. Scottish Labour last night reacted with fury to the MS Society’s findings. Social security spokesman Mark Griffin MSP said: “These are deeply concerning figures that once again show the brutality of this cruel Tory government. “Tory austerity and changes to welfare have hurt the most ­vulnerable in society. Theresa May and Ruth Davidson should be ashamed. PIP has two components – the mobility component for help with getting around, and the daily living component for help carrying out activities like washing and dressing. The figures obtained by the MS Society show that between October 2013 and October 2016, 8800 people across the UK who received the higher rate for mobility under DLA were reassessed for PIP. Following reassessments, 2600 had this support denied or downgraded. A total of 3400 people who received the higher rate for care under DLA were reassessed during this period, and 800 had this support denied or downgraded. The DWP said: “Under PIP 36 per cent more MS ­claimants receive the highest rate of support than under DLA. 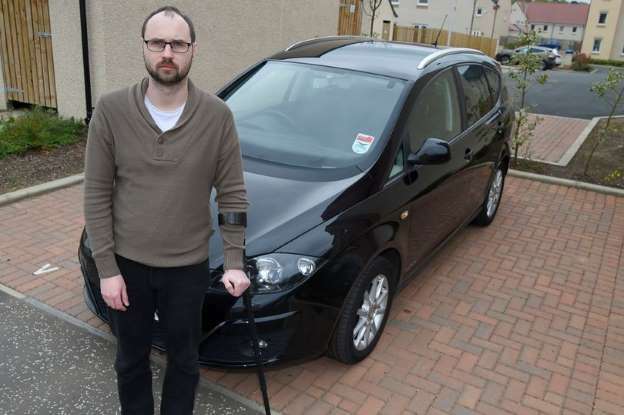 Scottish MS sufferer David Trotter was left without a car for five months after PIP cash was withdrawn. 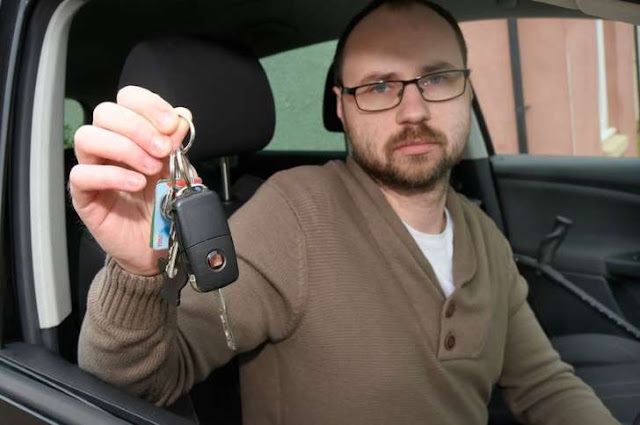 The IT technician - who has been living with the condition for 13 years - found himself housebound and unable to get to work as a result of the cash grab. It was only after a stressful appeal that the 33-year-old, from Dalkeith, Midlothian, was able to continue with his job last year. He said: “The system seems to be aimed at cutting costs and thus reducing the help that people get, rather than properly assessing their requirements and funding that much needed help accordingly. “From my own experience it was very clear PIP is built as a one size fits all benefit system and illnesses just do not work that way especially illnesses such as MS.
“I can go from one day being able to drive to work and go to the shops to the next day being unable to get out of bed. This variation needs to be taken into consideration.